Exercise was an important part of the WAVES regimen. 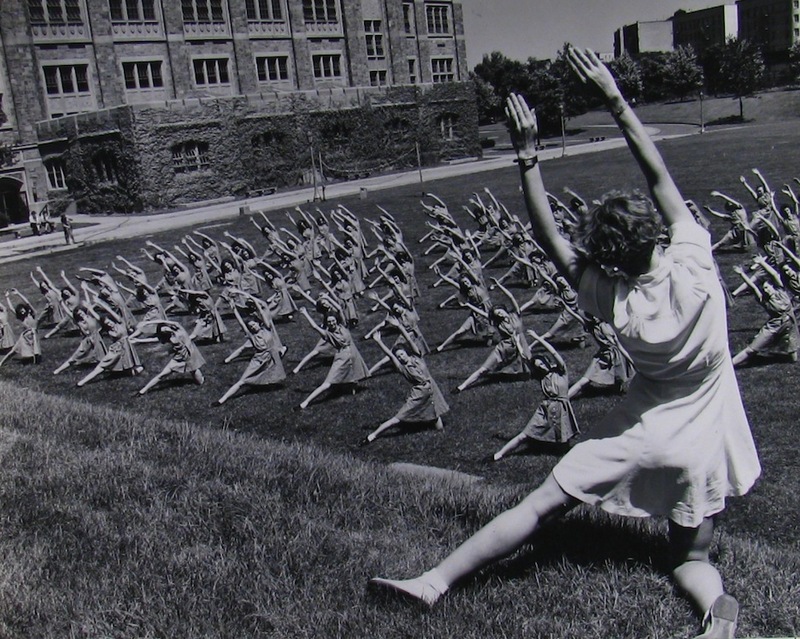 Here, WAVES at Hunter College boot camp in the Bronx, New York, take an exercise drill on one of the campus’s outdoor lawns. The National Archives photo dates from 1943. I think I may be in this picture. I was in the nineth Regiment at Hunter in June & July of 1943. I would be in the back row. Ethel MARIAM, Capt. (SC) USNR ret. According to the Navy/National Archives, the photo dates from November of 1943, but given the full contingent of leaves on the trees, the shorts, and the seemingly-green grass, I’m a bit suspicious of that date. I wonder if that was the release date of the photo (rather than the date it was taken). We see dresses were the order of the day back then. How times change.